If executives at United Airlines want to rescue their brand, and quite possibly the fate of their company, they need to make concrete changes and then use social media to turn around the conversation. "They are essentially branded bankrupt," said Michael Bilello, founder and CEO of Centurion Strategies, a Tampa-based PR and crisis management company. "If I was in this position, I would institute a 10-steps to improvement plan, and I would also execute a very aggressive social media campaign that makes every traveler a spokesperson… Social media, 100%, will be a key influencer right now." United has been under fire this week after a video of a passenger being dragged off an overbooked plane went viral over social media. The man, whose face was bloodied, was screaming as he was dragged by the arms from his seat and off a flight from Chicago to Louisville on Sunday night. He was removed from the flight because the airline had overbooked and needed the seat for a crew member who was scheduled to work a flight out of Louisville. The passenger said he was a doctor and that he needed to get home to see his patients. When no one took the airline's first offer of $400 and then a second offer of $800 to take another flight to Louisville the next day, the airline said it randomly chose another passenger to be removed. What made the situation more damaging than if passengers had only talked about the incident to their friends and co-workers the next day was that several passengers on the flight took photos and video of the entire fracas. Once those videos reached the Internet, they spread like wildfire. 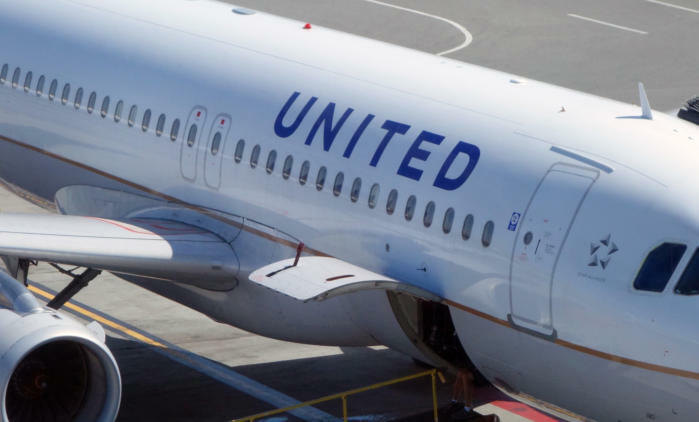 Adding to the angry public response, United CEO Oscar Munoz, who last month was named PRWeek's Communicator of the Year award, issued a statement apologizing for the airline's having to "re-accommodate" customers. He also defended the crew's actions and called the passenger "belligerent." That statement brought on a flood of angry and frustrated complaints on social media sites like Facebook and Twitter. It also led to memes, like "If we cannot beat our competitors, we beat our customers" and "United Airlines introduces new cabin class: Fight Club." At one point today, the company's stock price dropped nearly 3%, whacking nearly $1 billion off the company's market value. By 3 p.m., the stock had risen slightly and was down 1.66%. "The optics are bad," said Eric Rose, a partner and crisis management expert with Los Angeles-based Englander, Knabe & Allen. "It doesn't look good to drag a person out through a cabin with the person screaming. They created the crisis and they've compounded that crisis by the way they handled it." Gene Grabowski, a partner with kGlobal, a Washington, D.C.-based PR and crisis management company, said what United executives need to do right now is take action. "You can't talk your way out of something you behaved yourself into," Grabowski said. "Social media is a tool. It is not a strategy. Use social media to make concrete announcements, like hiring a new head of customer service, like changing your policy about overbooking." One step that United's CEO took Tuesday was to issue a second, decidedly different-sounding apology. "No one should ever be mistreated this way," Munoz wrote in a tweeted message that was tweeted out. "I want you to know that we take full responsibility and we will work to make it right… I promise you we will do better." Munoz then said the company is conducting a review of crew movement, policies for providing incentives to volunteers, handling oversold situations and how the airline works with law enforcement. This kind of apology is more on track for what the company needs to do, according to Rose. "Apologize without qualifications," he said. "I'd go on every social media channel with this message over and over again." For Eric Schiffer, chairman of Los Angeles-based Reputation Management Consultants, this is an "epic-scale mess" that could easily cause customers to choose another airline the next time they're booking a trip. What United needs to understand is that statements – even those that appear to be heartfelt – will only dig them into a deeper hole if their actions don't follow through. "They have created a trust rupture of mammoth proportions," Schiffer said. "They need actions to make things right. Social media follows that. It doesn't lead it. First, they need actions that don't involve Twitter." The crisis managers said United needs to quickly review and change its policies about overbooking flights. It also needs to come up with a multi-step plan on how it will make sure another customer is never treated this way and how it's going to put the customer first. The company also needs to reach out to the man who was dragged off the plane and compensate him for the experience. The passengers who had to witness his removal from the flight need to be compensated, as well. Once the changes are implemented, United should offer discounted flights to reintroduce people to the new company with its new customer-first policies and actions. If United's CEO doesn't moved swiftly and decisively in making these improvements and communicating them, he should go. When the appropriate steps have been taken and the company has made the information public on its social media channels, it's possible that United's own customers will save them – on social media. "The same group that shared the video is the only one that can put this situation back together," Bilello said. "You make a commitment to be an improved carrier. You learn from your mistakes, and you commit to making this the best carrier on the market. By doing that, you will give people a subtle call to action by either saying [on social media] that you have made good on your commitment or you have not."